If we sum up the pallet wood recycling, it holds the major components as your passion for the pallet wood recycling, some raw shipping pallets, and isolated space for the work or your domestic workshop, and ofcourse the tools. Wood work tools are the most important thing while working in the workshop because you can’t simply do all the nailing, staining dis assembling and other stuff with your hands. So this highlights the importance of the tools. 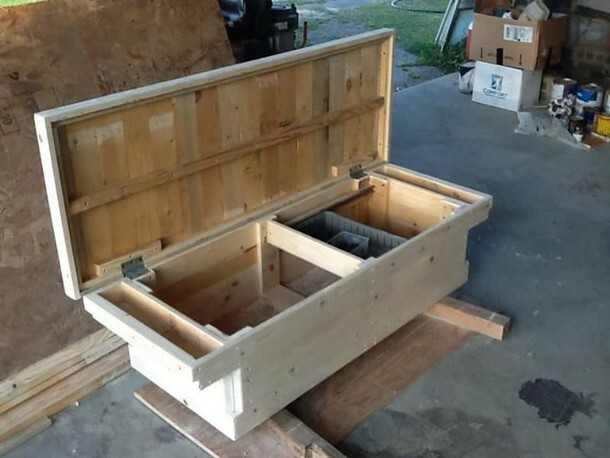 So why not to make a proper wooden pallet repurposed tool box for them? Isn’t this a great idea? Take best care of your tools and they would take care of you during the work. 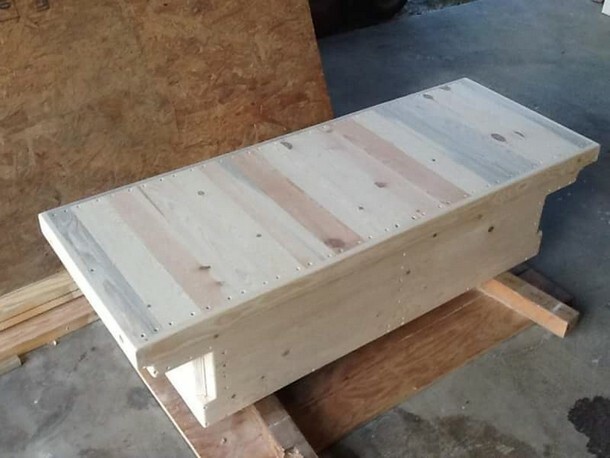 We have shown this wood pallet recycled tool box in a raw form, without proper staining. 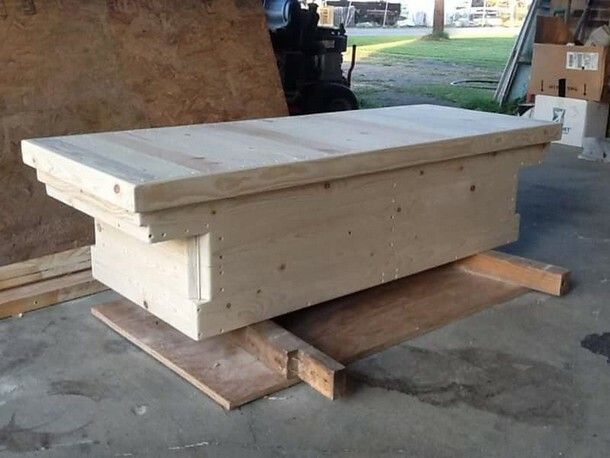 This is actually a large wooden box having different portions and segments which are specified for different tools having different shapes and sizes. Just think about a large cutter, or a manual saw, while they are outside the box, they might certainly be a danger for the kids. So this is always safe to place these tools inside the pallet wood repurposed tool box. 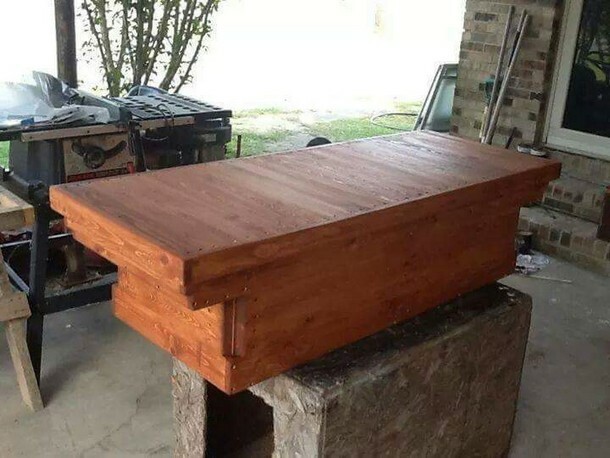 Don’t confuse it with the wooden coffin. Now we have given it a final touch here, we have stained it with a decent shade that is perfectly appropriate with the wooden articles. To avoid more scars we have used the staple gun to give it a fine look. If we look inside the wooden box, we have specified each portion for different tools. We managed to keep it sleek, smart and stylish. So this can easily be dragged anywhere at your desired place. This would be a great support throughout your recycling work and all of your tools would remain pretty arranged and in your immediate access.